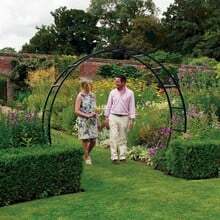 A Harrod Moon Gate Arch will create a stunning focal point in your garden, endorsed by the RHS and with a 10 year structural guarantee you can be assured it will grace your garden for many years to come. Manufactured from the same top quality, 10 year guaranteed materials used in the construction of our steel fruit cages - extra strength, 1.5mm thick x 25mm square steel section which is both pre-galvanised and powder coated to give a resilient and extremely attractive matt black finish and plastic capped, flush fitting steel connectors - along with black stainless steel bolts, the RHS endorsed Moon Gate Arch is likely to be around for a long time! 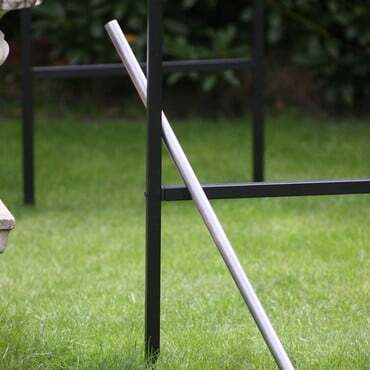 Excellent quality and looks fantastic! 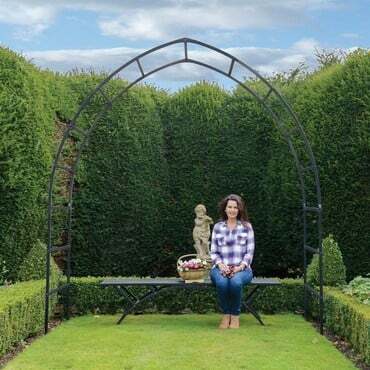 The moongate arch is substantially made and gives an excellent look that will last in the garden, the service received from Harrod Horticultural is always very good. 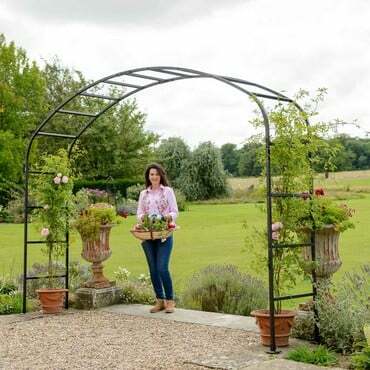 Good sturdy moon gate, easily assembled and looks lovely. 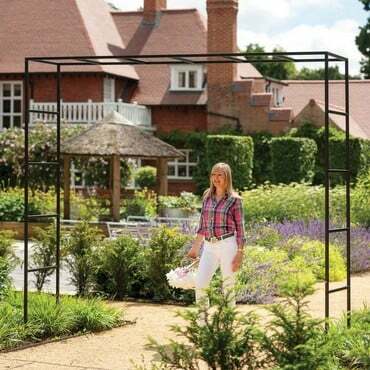 Over the moon - Create a beautiful feature with a Harrod moon gate arch, as endorced by the RHS. 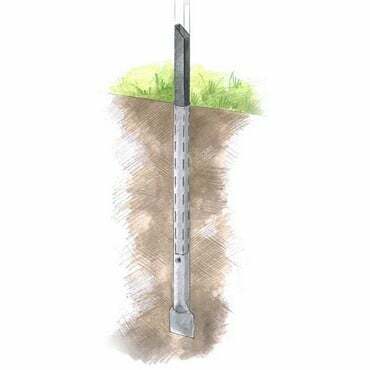 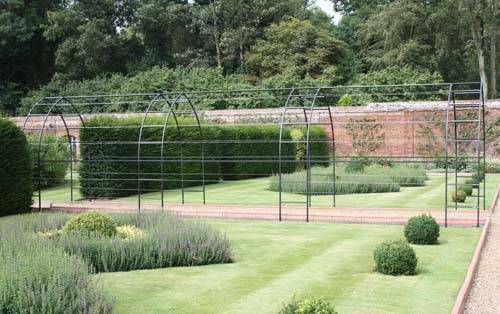 It is designed to be installed directly into the soil and its tough steel framework is fully galvanised and has a 10 year guarantee. 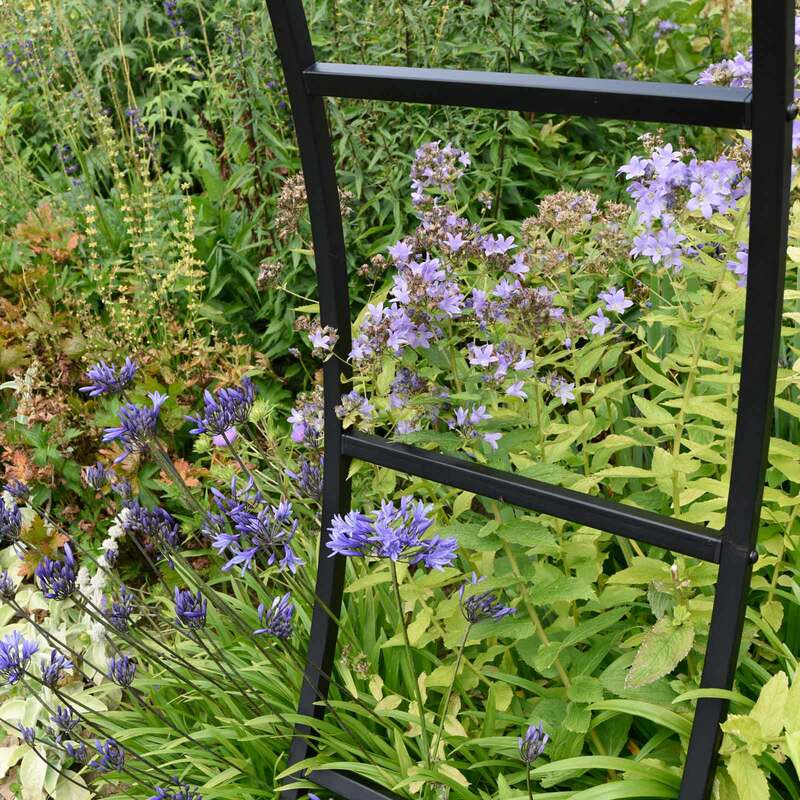 It is matt black polyester powder coated for a weathproof finish. 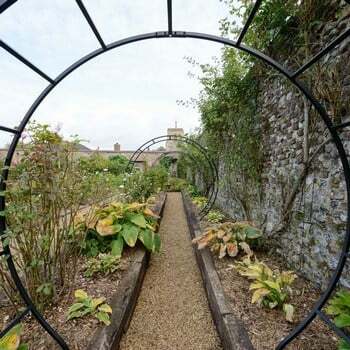 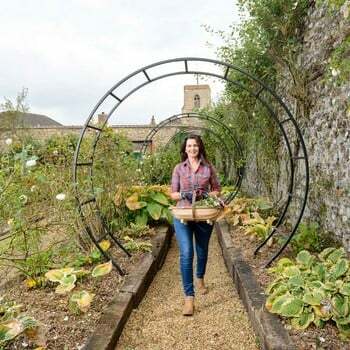 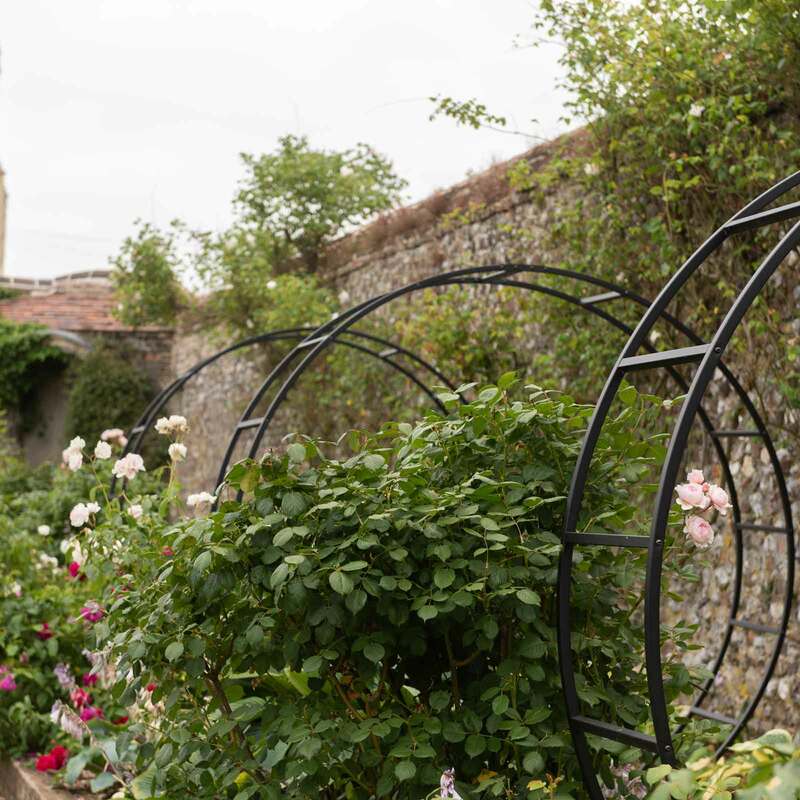 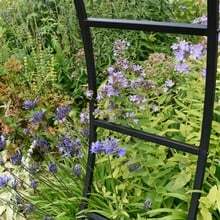 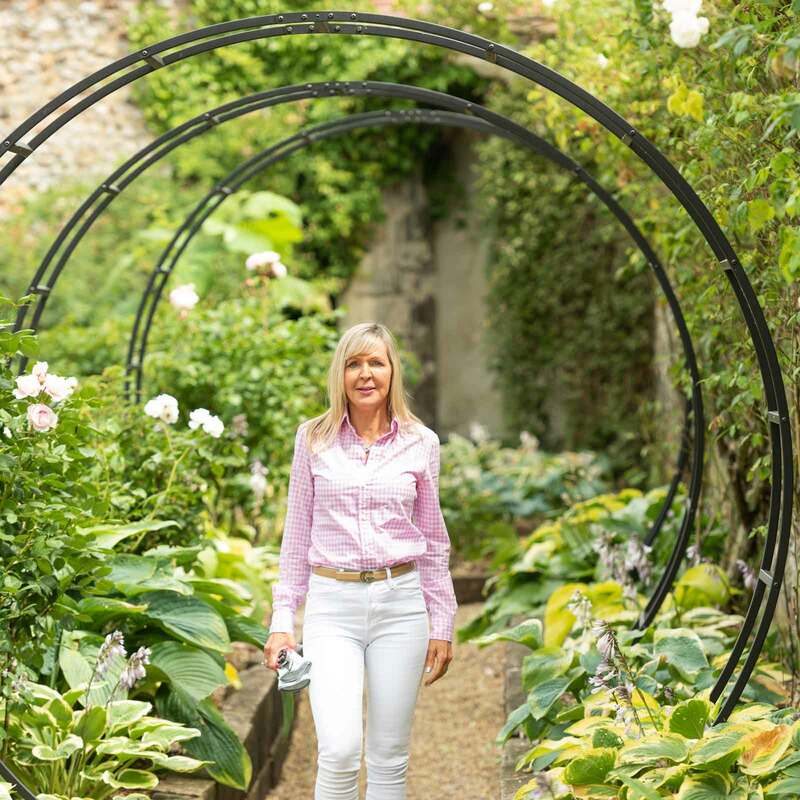 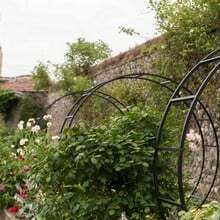 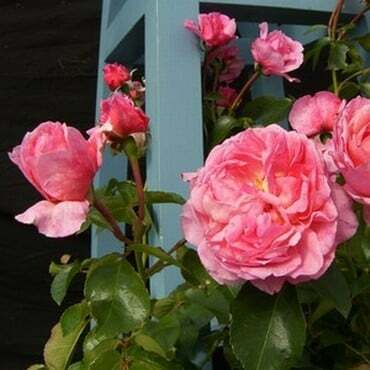 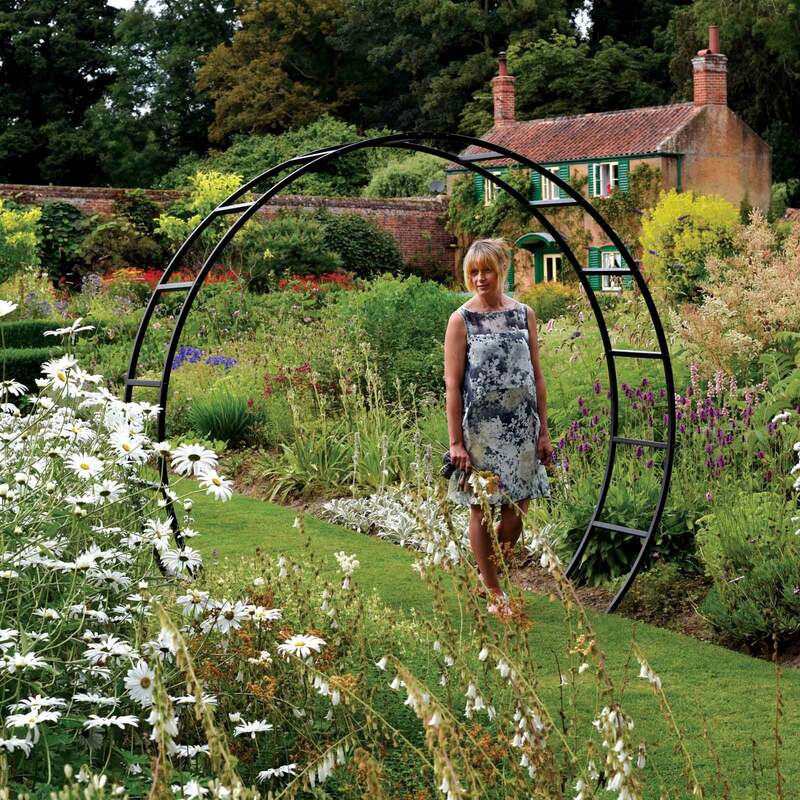 The arch measures 2m high by 2.5m wide and is ideal for roses, clematis, honeysuckle and climbers, including vegetables. 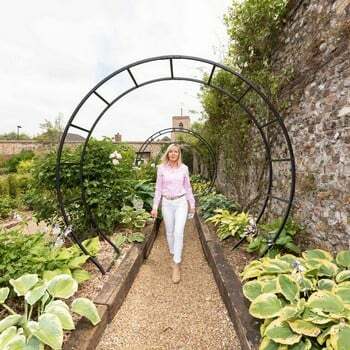 The image above shows 4 individual gothic arches, each measuring 2m wide x 2.77m high and 60cm deep, covering an overall length of 10m.